An afternoon celebrating the early years of DOCTOR WHO with the programme’s very first stars, CAROLE ANN FORD and WILLIAM RUSSELL. From the birth of DOCTOR WHO in 1963, the Doctor’s granddaughter Susan ranged through time and space alongside William Hartnell in the programme’s very first series, while astrophysicist Zoe joined Patrick Troughton for the TARDIS crew’s adventures at the end of 1960s - between them they starred in over one hundred episodes of the classic television series. 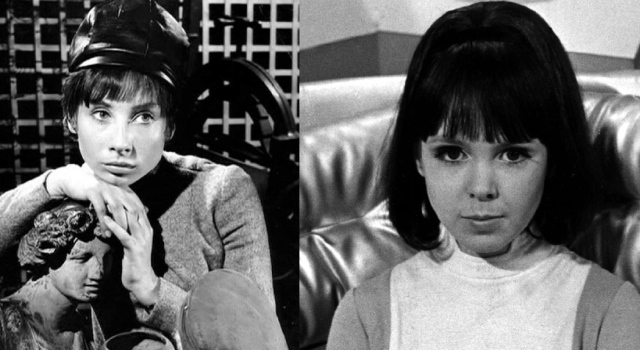 Join Carole Ann Ford and Wendy Padbury as they discuss the birth of a British institution plus their wider careers, including appearances in Day Of The Triffids, St Trinians, The Punch & Judy Man, Z-Cars, Emmerdale Farm and many more! A message from William Russell's PA: "William Russell very much regrets that he is now unable to attend Epsom Playhouse and sends his apologies, but wishes the event well." This is an unofficial event and is not supported or endorsed by the copyright holders. All guests appear subject to professional commitments. Other terms and conditions may apply at the discretion of Honalee Media Ltd or Epsom Playhouse.